﻿ Cherish Hue Hotel (Vietnam) | FROM $26 - SAVE ON AGODA! "Hotel was wonderful as stars indicate." 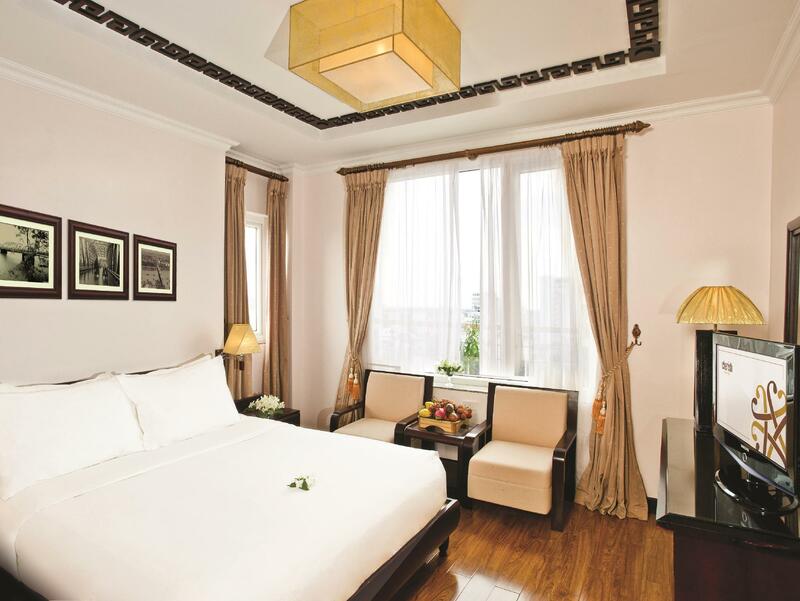 Have a question for Cherish Hue Hotel? 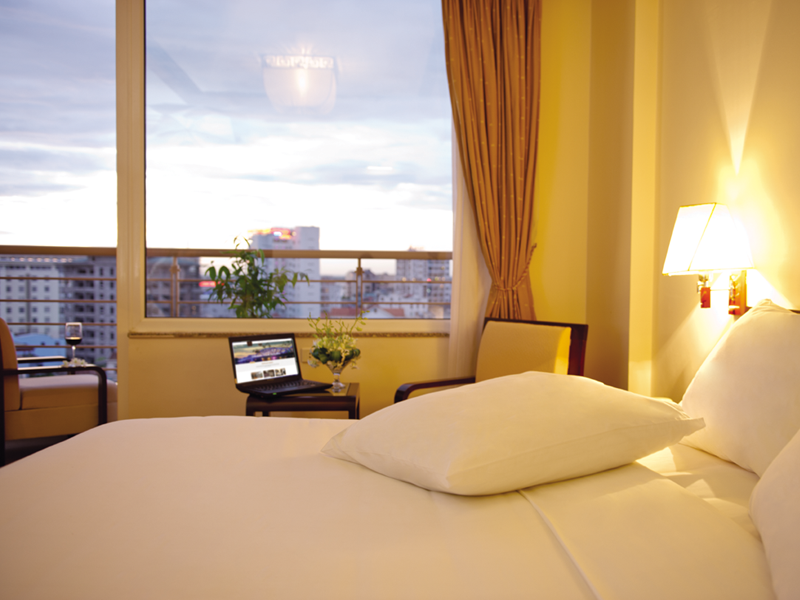 "Nice room along with an even better breakfast and view." 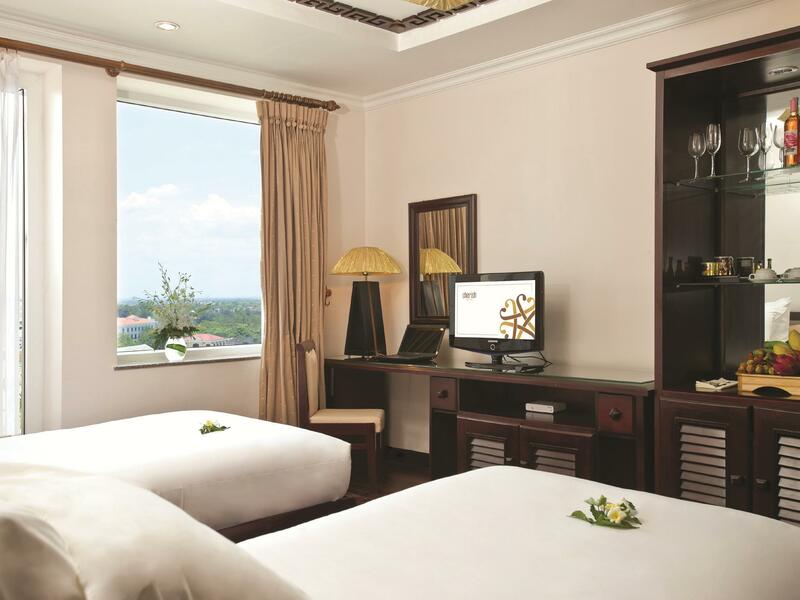 "Staff was very helpful, breakfast also very good with sky view at the top floor"
The Cherish Hue Hotel, located in central Hue, is a spacious and modern hotel with all the conveniences and comfort needed to accommodate a historic locale. Among the Camellia's conveniences are its proximity to the picturesque Perfume River, as well as the Citadel and Dong An Market. Among its comforts are a spa and massage center, fitness center, salon, swimming pool, and a restaurant that serves both Asian and Western cuisine. On top of this considerable breadth of amenities are meticulously designed rooms, all fully equipped with Wi-Fi, a mini bar, and satellite TV. For the business traveler, there is a conference room on sight. 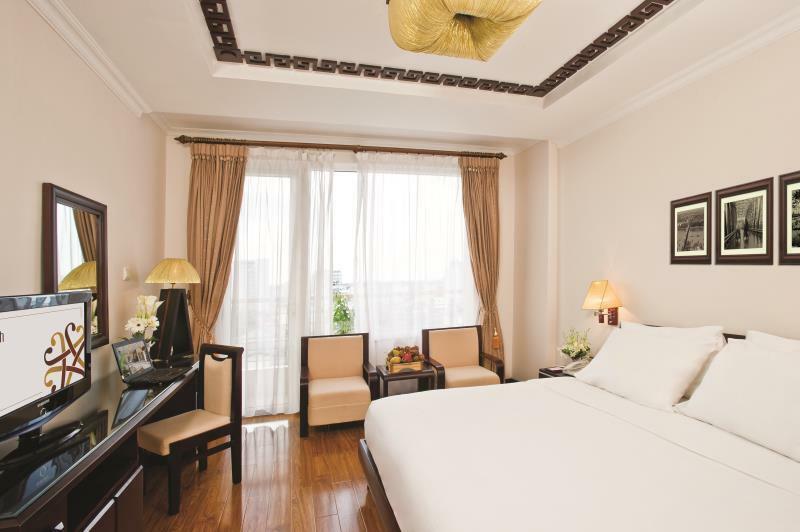 In a city more renowned for its history and sights rather than its lodging, the Cherish Hue Hotel provides that sense of comfort and appreciation that stems only from the finest quality hotels. "Nice hotel, staff & breakfast." Airport transfer is available at an additional charge. In order to reserve the transfer, please inform the property of your arrival details upon completing the booking. Nice hotel with great breakfeast and pool. We had a very nice stay at the Cherish in no small part because the staff was about as helpful and friendly as can be. They were nothing but attentive to our needs as well as the needs of our friend who had a booking issue. She had booked a room through Agoda but it ended up for the day prior to her arrival (this has happened to me before). The hotel honored her booking from the day before and gave her a room for that night instead. I have had hotels do the exact opposite when this occurs and these guys didn't hesitate. 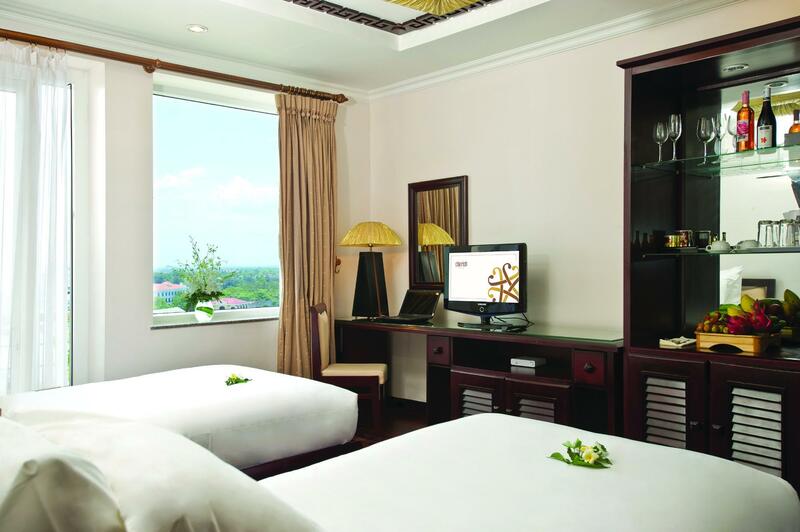 It is a nice hotel overall, no complaints, but it is the staff that makes it a must stay in Hue. Great location near to all the restaurants and such, good fitness center and nice little pool. Breakfast is nothing special but adequate. Room 910 did have a problem with the AC and it was way too cold the first night. But we got smart the second night and turned it off and opened the windows. We stayed only one night and arrived quite late and check out early in the morning. Didn't have much to comment except that we are happy with their breakfast spread of food. My children liked their best is their home made Yogurt. It taste so good that they all enjoyed it and also including the foods. Very nice hotel, clean, comfortable, really good breakfast. The staff are very very nice and helpful and friendly. Kahn took care of us one night while relaxing with some beer, and greeted us the next morning at breakfast. ...extremely nice man. I can not enough good things about Cherish Hue. Hotel was wonderful as stars indicate. 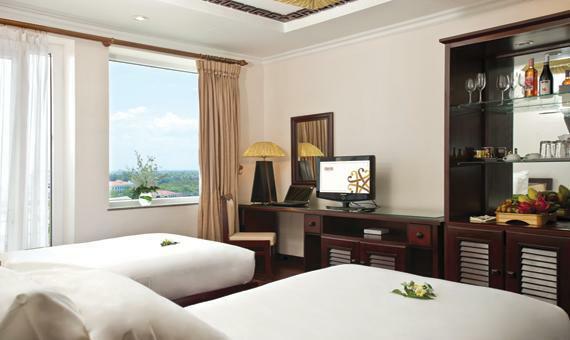 Excellent value (note time of stay), super clean and fresh, staff spoke English and very attentive. Facilities were also fine for those on the go during the day, it is not a resort so don't plan on hanging out all day. We found the staff to be pleasant and welcoming. This hotel is in a good position and close to most attractions. reasonable price and very nice service. very nice location, the service is wonderful and special thanks for our adviser Jenny. she is very lovely and helpful. hotel is very clean, breakfast is great, room is spacious. 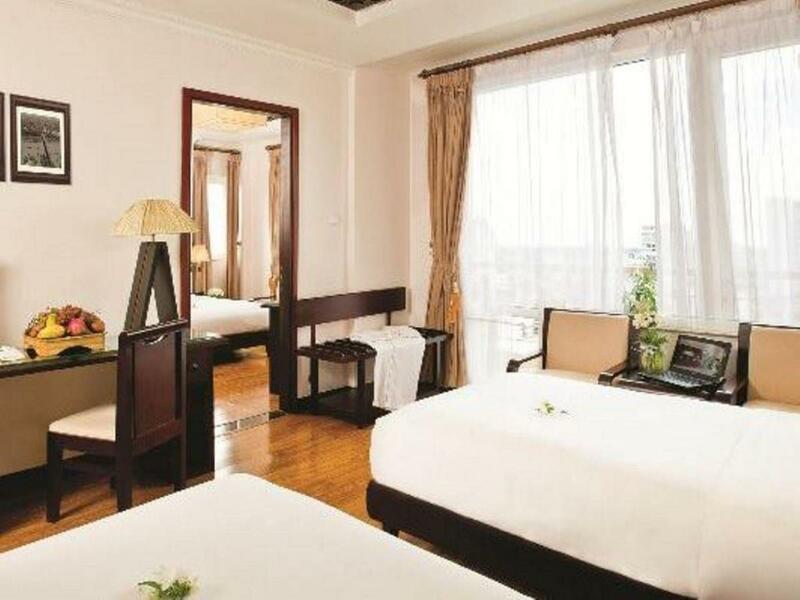 I love very single thing about this hotel and I surely will recommend others to stay in this hotel. I have been travel to VN many times. But Cherish hotel is the one that got my impression. The staffs are so very friendly and knowledgeble. Also the room is very big and clean. So impress with a labtop and fruit complimentary in the room. I've met two staffs that very friendly to me while I stayed there: their name is Mark(Bell boy) and Jack (the one who work in the restaurant section) However, If I have plan to Hue again, I will book a room at Cherish for sure. I absolutely loved this hotel because it's so well run - as evidenced by smooth check in, comfortable bed, cozy room, great breakfast layout and view, super courteous and friendly and efficient staff, and an amazing checkout - they knew who we were when emerged from the elevator with our luggage. We also used the spa which is great value, hotel guests get a discount. It's also well located - we walked to both the citadel and the beer bar streets from here, the river is very close. 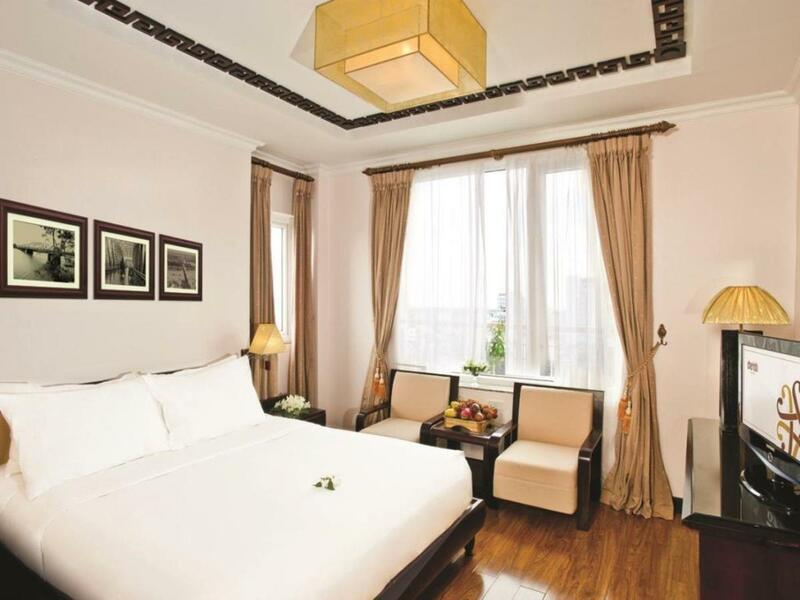 Hue is a such a nice city, leave more time for it and to enjoy this lovely gem of a hotel! Thank you to Cherish staff for making our stay so delightful! Nice hotel with attentive staff, excellent location. The staff at the breakfast restaurant was great and location at the top of the hotel is very nice with 270 degrees view. My second stay in the last two years. Would recommend to family and friends with no hesitation. The staff the entire time we stayed was fantastic. We stayed in the family room and it was big. One king bed and two twins. Huge tub and didn’t realize until the second day there is a button to turn on the water heater, lol. My son and I were sick during this portion of our trip and the front desk even called to check on us. We really enjoyed our time in Hue at Cherish. Breakfast awesome close to nightlife street markets restaurants and shops! Booked car and driver large Toyota forunner 7 seater $100 aud Hue to Hoi An for 4 of us luxury, can’t fault would go back for sure! We enjoyed our stay. The hotel is nice and breakfast was fabulous! The hotel shows a tiny bit of wear like a rip in the duvet and a dirty shower curtain. You can hear people closing doors and coughing in the rooms next door but this posed no problem for us. We had a good two night stay and felt like the hotel offered good value. This is a bustling hotel that caters to small tour groups. It's about a 15 minute walk from the train station.